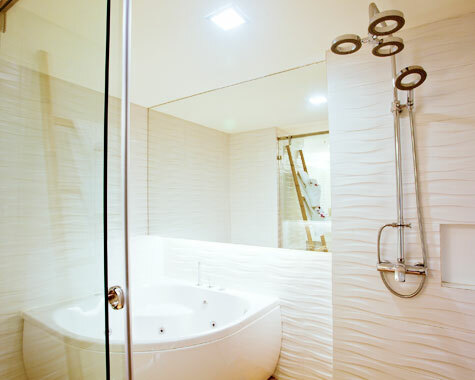 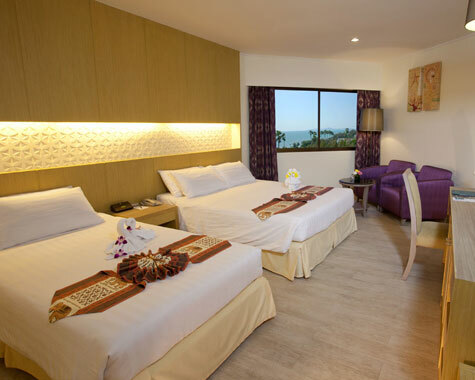 Relax and enjoy your stay in a 31.03 sqm contemporary style room with spectacular Jomtien beach view and Pattaya city scenery. 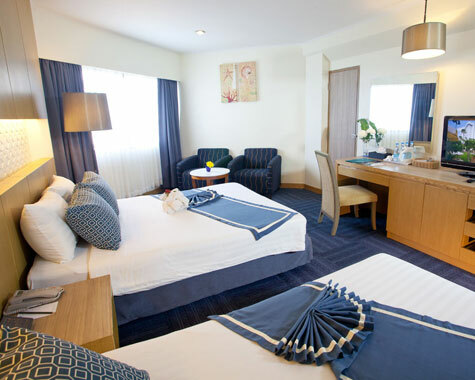 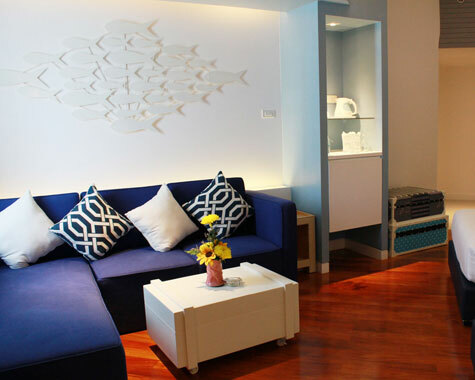 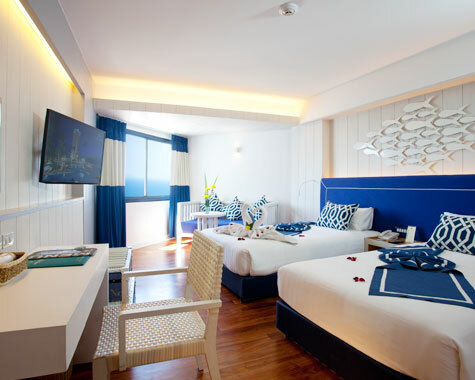 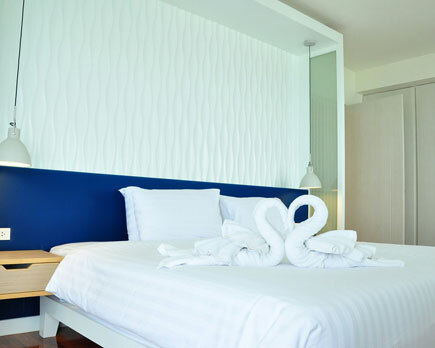 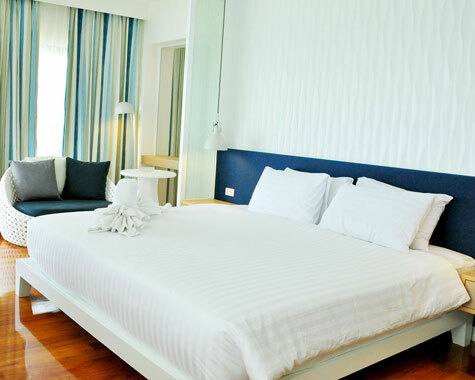 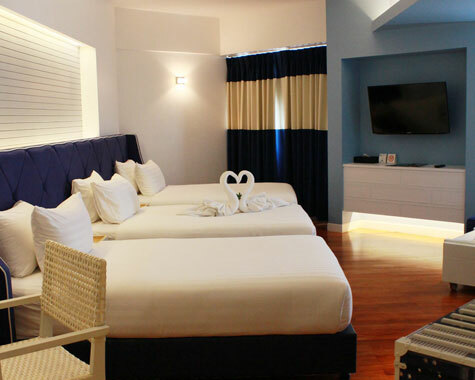 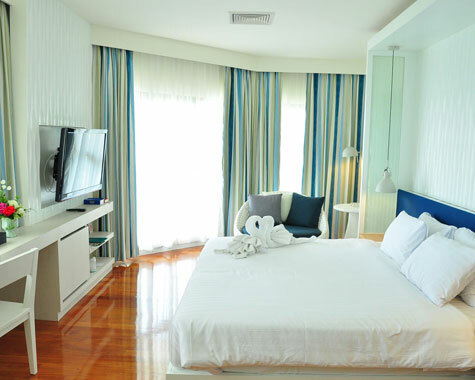 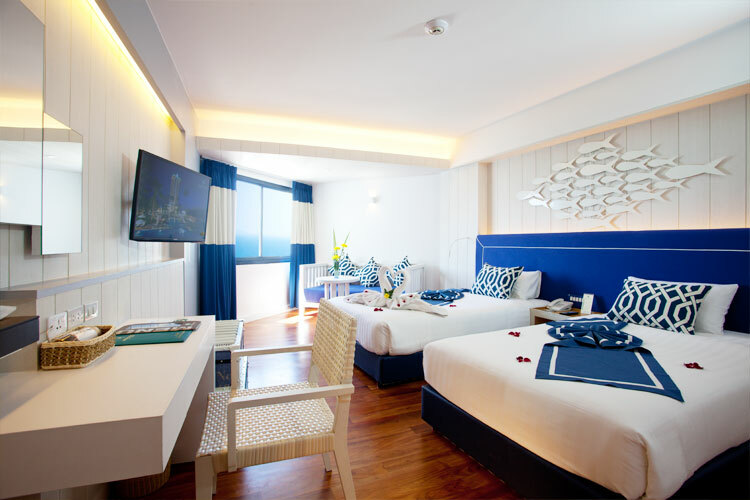 Take in majestic sea view of beautiful Jomtien beach from our luxurious 35.07 - 40.05 sqm Deluxe Rooms colored with blue and white to ensure your warm and welcoming stay. 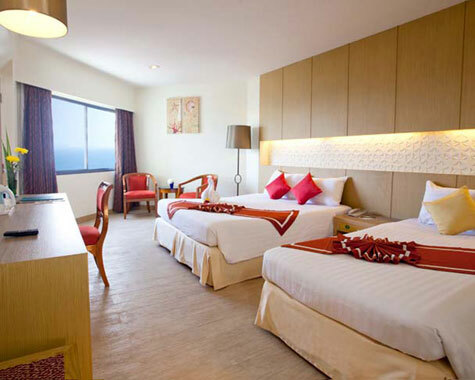 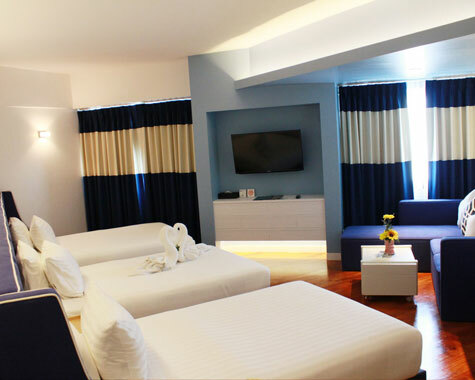 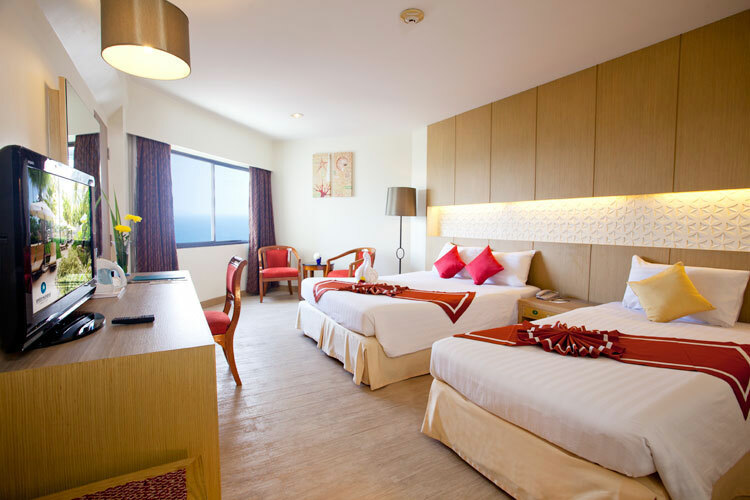 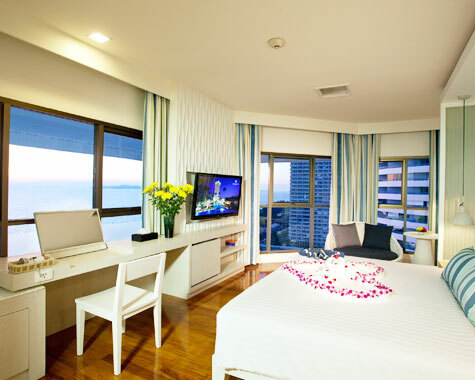 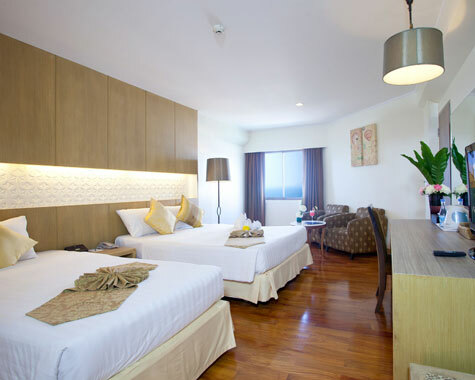 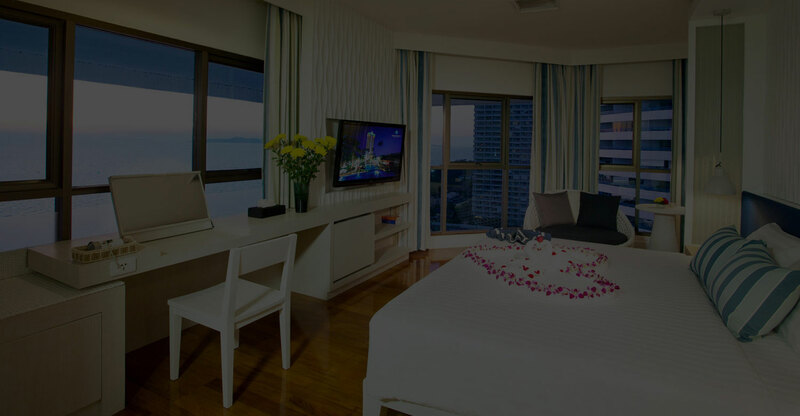 Enjoy your stay in the 44.09 sqm modern-style room with full height windows to overlook the beautiful Pattaya beach view and Pattaya's famous landmarks. 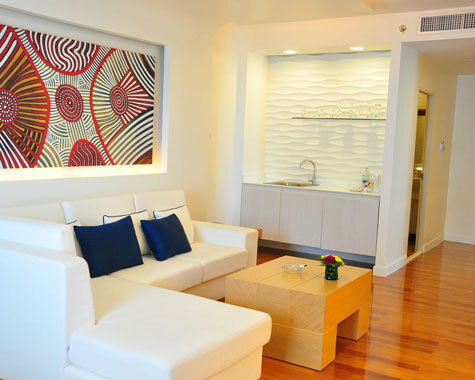 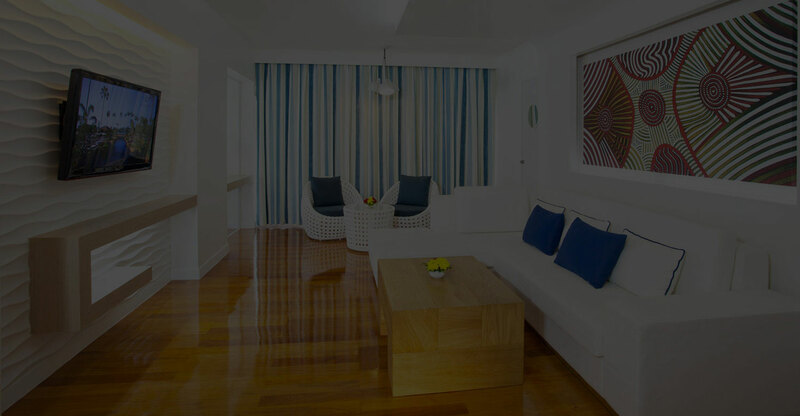 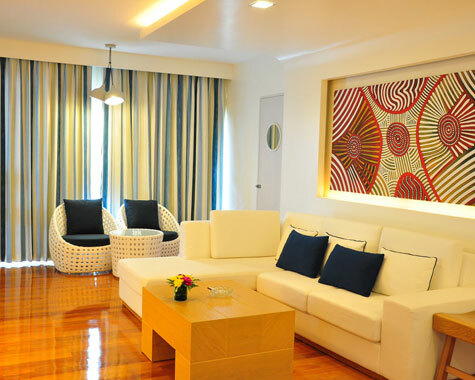 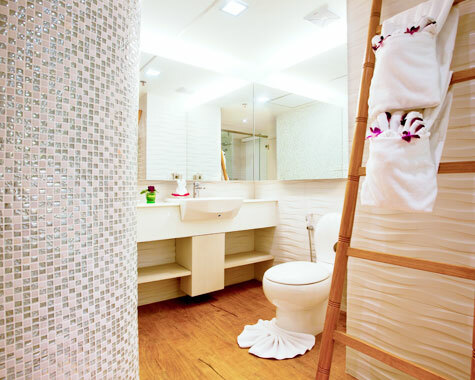 Combined with high-quality carpet, living room and bedroom are separated form each other for your utmost pleasure. 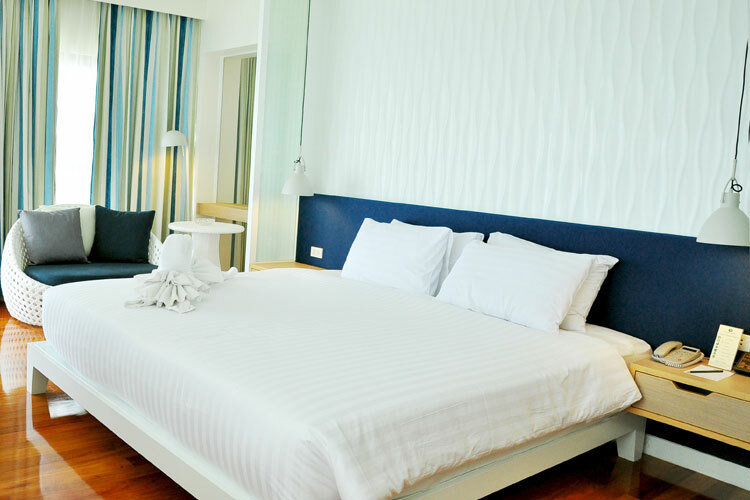 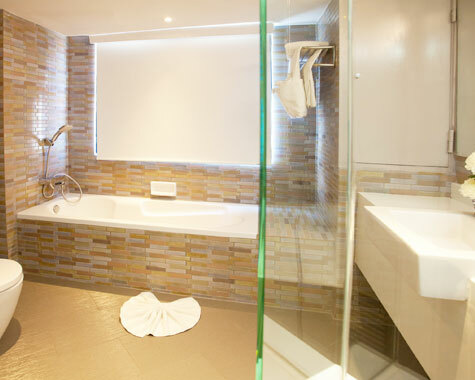 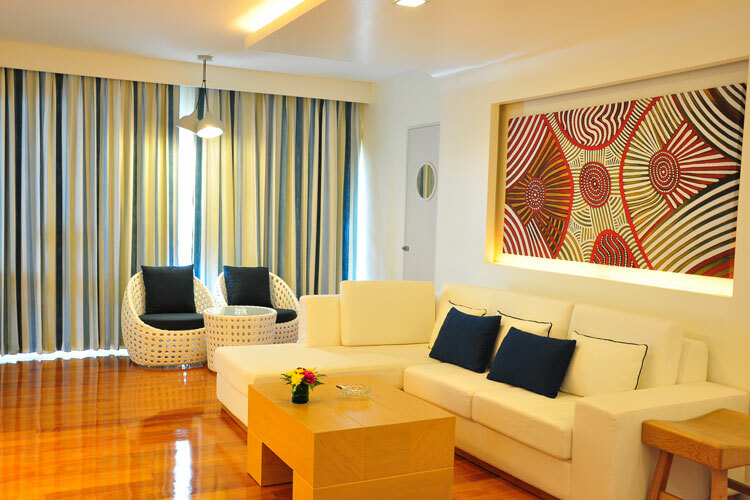 Relax in the spacious 67.09-sqm modern-style room with stylish living area and bedroom with high-quality carpet that lead to the full height windows to overlook Pattaya beach and Pattaya's famous landmarks. 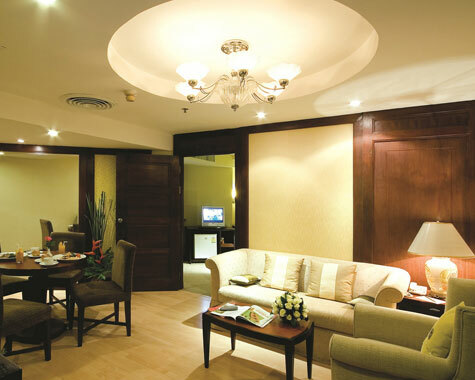 The spacious 102.30 sqm President Suite rooms include 2 bedrooms and 1 living room and equip with every amenity you need to conduct your stay in comfort. 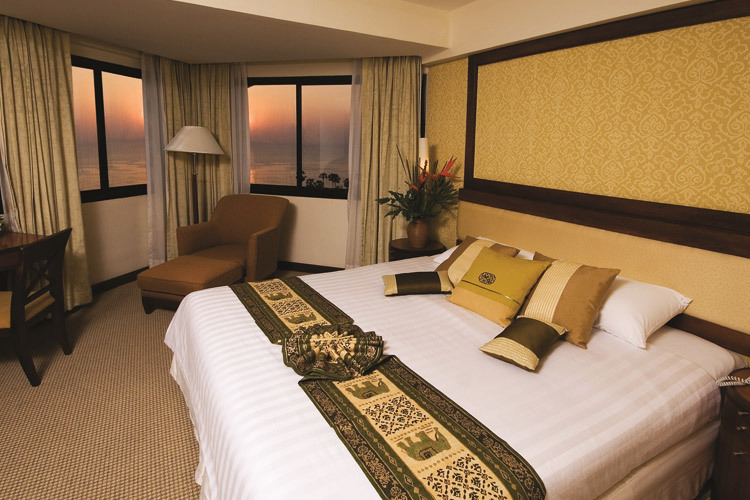 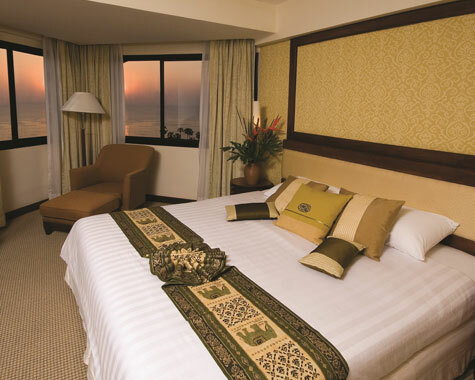 The luxurious bedroom with extra king-size double bed indulges you with spectacular beachfront sea view.